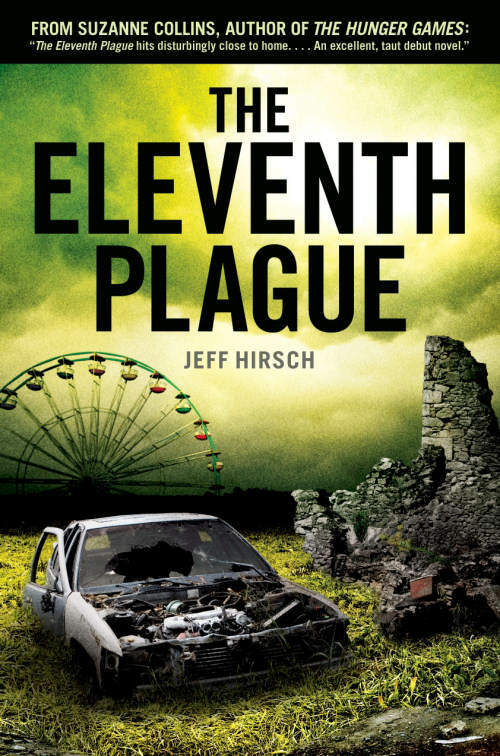 First Novels Club: THE ELEVENTH PLAGUE: Interview & Giveaway! THE ELEVENTH PLAGUE: Interview & Giveaway! Today we're wishing an early Happy Book Birthday! 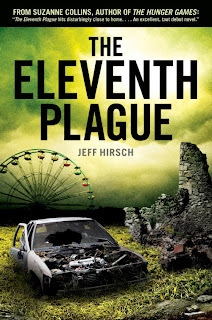 to Jeff Hirsch and his debut YA, THE ELEVENTH PLAGUE, which comes out September 1st. I picked up a copy at BEA, and it's definitely one of the creepiest, well-written, page-turniest post-apocalypse/dystopians I've read in a long time. "The wars that followed The Collapse nearly destroyed civilization. Now, twenty years later, the world is faced with a choice—rebuild what was or make something new. Stephen Quinn, a quiet and dutiful fifteen-year-old scavenger, travels Post-Collapse America with his Dad and stern ex-Marine Grandfather. They travel light. They keep to themselves. Nothing ever changes. But when his Grandfather passes suddenly and Stephen and his Dad decide to risk it all to save the lives of two strangers, Stephen's life is turned upside down. With his father terribly injured, Stephen is left alone to make his own choices for the first time. Stephen’s choices lead him to Settler's Landing, a lost slice of the Pre-Collapse world where he encounters a seemingly benign world of barbecues, baseball games and days spent in a one-room schoolhouse. Distrustful of such tranquility, Stephen quickly falls in with Jenny Tan, the beautiful town outcast. As his relationship with Jenny grows it brings him into violent conflict with the leaders of Settler's Landing who are determined to remake the world they grew up in, no matter what the cost." 1) How did you come up with the idea for your novel? The opening image just kinda popped into my head one day. Two people burying someone late at night above the ruins of an old mall. Putting together the rest of the story was about answering for myself who these people were, what they wanted and what their world was like. 2) Did you consider your book a dystopian as you were writing it? Did you worry about the saturation of the market with similar books? I didn't actually. I started the book way back in 2006, a couple years before Hunger Games came out and really set off the current rush of dystopian books. I don't even consider it dystopian now to tell you the truth. Since it doesn't involve a functioning society I'd say it's probably more post-apocalyptic than dystopian. 3) Can you describe your agent querying process to us? When did you know you were ready to send it out? What were you looking for in an agent? Well I wasn't 100% I was ready. I think I got to a point where I had received all the feedback I was going to get from early readers, and done everything I could think of to do to the book on my own. I literally didn't know what else to do other then send it! So I did a bunch of research and send it out to my top 5-10 picks. I was looking for someone who seemed to represent the kind of books I was writing and who also had a strong sales record. Once I got on the phone with a few agents I was hoping to find someone I had a personal connection with and who got what was working and not working with the book. 4) So many dystopians rely on a "Big Brother" or "Evil Government" set-up, but yours is refreshingly different. Can you talk about the world-building process for your novel? 5) What are you reading right now? What are your top 5 reads that we should all have on our shelves? Right now I'm reading Lev Grossman's The Magician King and really loving it. My top 5of all time? For YA, I'd say Meg Rossoff''s How I Live Now, Geraldine McCaughrean's The White Darkness, The Hunger Games, David Almond's Clay, KL Going's St. Iggy and every book ever written by MT Anderson. Oops. That's more than 5. 6) Society, as we know it, has completely shattered in your book. If the world was going to end, do you think it would happen similar to your book? I think that a big dramatic “end of the world” is probably the stuff of fiction and movies, at least as a result of anything man made. What I think is more likely is more an “end of the world as we know it.” Societies rise and fall for various reasons. Economics. Politics. Environmental isues. It wouldn’t surprise me that if we looked fifty or a hundred years in the future we’d see a world and an America that, while present wouldn’t be anything we’d recognize as ours. After selling the book that was without a doubt the most exciting thing that's happened during this entire process. I found out while at work and luckily I had gotten a few co-workers to read the books so they understood how huge it was for me. I think I was having heart palpitations. When I called my wife I was near incoherent. 8) Finally, can you offer us a little bit of advice? Something you've learned from the writing process, the editing process, the querying process... anything that you learned between writing page one and publication that you think we should hold on to? Without a doubt it's that no matter how much work I thought went into writing a book the reality was it took more. I can't tell you how many times I thought I was done only to realize that, no, I actually needed to do another draft, or tweak this chapter, or work on this character's arc. For me the key is to make sure you're so interested in your book that you're willing to go back to it again and again and again. Thanks so much for stopping by, Jeff! Now, onto the giveaway! We have in our possession one lovely ARC of this book, which you NEED to have in your YA Library if you're like me, and love a) disaster movies, b) Dystopians, c) Awesome books, or d) all of the above! That piece of advice is spectacular. I think I will have it tattooed to myself. Great interview. That's so awesome that Jeff thought of his idea for the story before dystopian stories became popular. Love the advice at the end, and looking forward to the book! Option D for me! I love disaster movies, dystopians and awesome books! This book sounds so awesome and I love the cover! Thank you so much for the giveaway! World premiere of HUNGER GAMES footage! BLOODLINES by Richelle Mead Review +Giveaway!!! Epic 4 Arc Giveaway for Team Kilt! 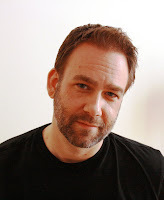 Comic-Con Un-Recap: What are YOU Reading? The Escape Mix: Life beyond writing.